Rule 18 of the Ontario Family Law Rules deals with what are known as “offers to settle.” Offers to settle have two purposes. First, an offer to settle may be directed towards negotiations leading to settlement. Second, an offer to settle is a way of protecting yourself from the high costs of divorce litigation. At the end of each step in a legal proceeding, the court has the discretion to award costs. The most common award is that the loser pays the winner approximately half of his or her total legal fees. However, if you do as well as or better than your offer to settle, then the court normally awards you two thirds to three quarters of your legal costs. (1) In this rule, “offer” means an offer to settle one or more claims in a case, motion, appeal or enforcement, and includes a counter-offer. (2) This rule applies to an offer made at any time, even before the case is started. (3) A party may serve an offer on any other party. (4) An offer shall be signed personally by the party making it and also by the party’s lawyer, if any. (5) A party who made an offer may withdraw it by serving a notice of withdrawal, at any time before the offer is accepted. (6) An offer that is not accepted within the time set out in the offer is considered to have been withdrawn. (7) An offer may not be accepted after the court begins to give a decision that disposes of a claim dealt with in the offer. (b)	shall not be mentioned to the judge hearing the claim dealt with in the offer, until the judge has dealt with all the issues in dispute except costs. (b)	the court begins to give a decision that disposes of a claim dealt with in the offer. (10) A party may accept an offer in accordance with subrule (9) even if the party has previously rejected the offer or made a counter-offer. [This is important, because at common law, making a counter-offer meant that you could no longer accept the original offer]. (11) If an accepted offer does not deal with costs, either party is entitled to ask the court for costs. (12) A special party may make, withdraw and accept an offer, but another party’s acceptance of a special party’s offer and a special party’s acceptance of another party’s offer are not binding on the special party until the court approves. (b)	continue the case as if the offer had never been accepted. 1. If the offer relates to a motion, it is made at least one day before the motion date. 3. The offer does not expire and is not withdrawn before the hearing starts. 4. The offer is not accepted. 5. The party who made the offer obtains an order that is as favourable as or more favourable than the offer. (15) The burden of proving that the order is as favourable as or more favourable than the offer to settle is on the party who claims the benefit of subrule (14). (16) When the court exercises its discretion over costs, it may take into account any written offer to settle, the date it was made and its terms, even if subrule (14) does not apply. I am not aware that any written offers to settle, pursuant to the Rules, were ever exchanged between the parties in an attempt to settle the matter. In this regard, both parties were unreasonable. They were well aware or should have been well aware, since both were legall represented, of the importance of such offers. 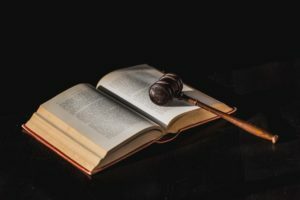 In my view, the presentation of reasonable offers to settle is vital, firstly, to the dynamics and psychology of alternate dispute resolution in litigation. Does the absence of such offers not signal a party’s refusal to enter into dialogue and negotiation towards settlement? Without evidence to the contrary, I think it does.